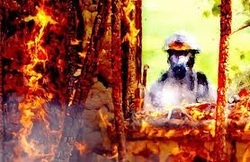 The South River Machar Fire Department helps protect the lives and the property of the inhabitants of the Village of South River and the Township of Machar from the adverse affects from fire. 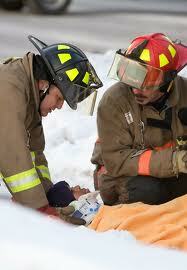 The fire department provides offensive firefighting operations when fire conditions permit. 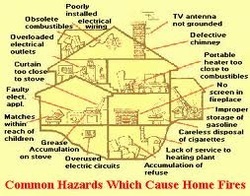 Early detection is the key to surviving a fire and reducing property damage so it is essential that every residence has working smoke alarms on every level of their homes as well as outside each sleeping area. 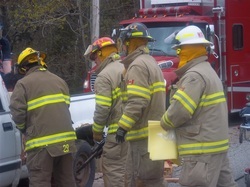 The South River Machar Fire Department provides auto extrication services on Highway 124 and Highway 11 and for the unincorporated townships adjacent to the Township of Machar. The fire department responds to motor vehicle collisions with 3 vehicles: Rescue 2, Pump 3, and Tanker 1. Currently the fire department has 1 Hurst eDRAULIC Spreader, 1 Hust eDRAULIC Cutter, 1 Hurst eDRAULIC Telescoping Ram, 1 Hurst eDRAULIC Combination Tool, 2 Air Bags and an assortment of hand tools. In March of 2010 the South River Machar Firefighters Association purchased a 2010 Polaris Ranger complete with winter tracks. This unit allows the fire department to provide rescue services to outdoor enthusiasts that become injured in remote areas that are not accessible by road. 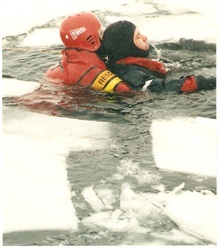 South River Machar Fire Department provides level 3 (water entry) ice water rescue. Due to the high risk nature of this level of service the fire department will only provide this service to protect human life and will not enter the water to rescue pets or wildlife. Currently the fire department is equipped with 3 Whites dry suits, 600 feet of rescue line, 2 basket stretchers 1 with floatation and several throw bags and PFDs. South River Machar Fire Department has a tiered response agreement with Parry Sound EMS which has the fire department respond to all unconscious and possible allergic reactions. The fire department also responds to other life threatening emergencies such as chest pain or shortness of breath calls when there will be a delay in EMS response. Firefighters are trained and equipped for patient assessment, spinal immobilization, defibrillation, epinephrine administration, airway management and oxygen therapy. South River Machar Fire Department provides a comprehensive fire prevention program in addition to fire inspections on a complaint or request basis. In 2011 the fire department initiated a smoke alarm campaign targeting remote recreational properties. The fire department is extremely active in the community and in our school as well. Also in 2011 the fire department initiated fire prevention a new carbon monoxide awareness program where firefighters will test homes on a request basis and provide information on the dangers of carbon monoxide.